While the Bloorview Research Institute at Holland Bloorview Kids Rehabilitation Hospital, located in Toronto, is a leader in the development of innovative assistive technologies for children with disabilities, it was restricted by dependence on off-the-shelf parts, which are often expensive, cumbersome, or simply unsuitable. In some cases, scientists resort to handmade solutions that are time-consuming to create, awkward to fit, and aesthetically unappealing. To remain at the forefront of innovation in pediatric rehabilitation, it was critical that Bloorview Research Institute gain the in-house capacity to 3D print. 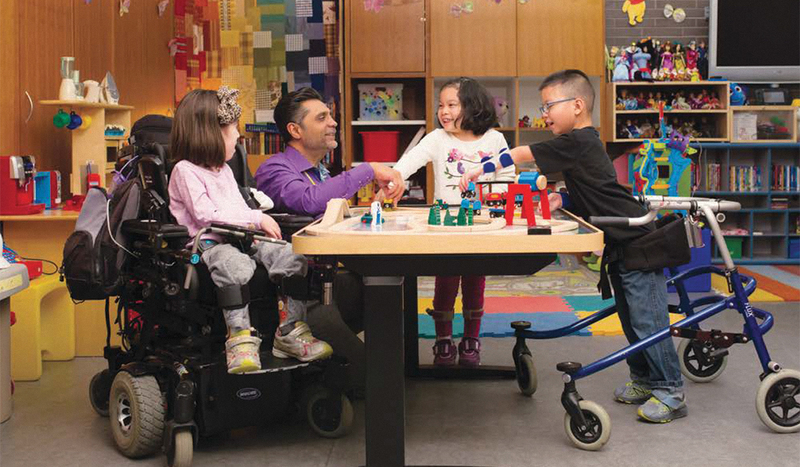 With the James H. Cummings Foundation’s gift of $30,000, Bloorview was able to secure a printer that has allowed them to test and iterate prototypes quickly and inexpensively, giving them the capabilities to create truly customized assistive technologies for children with disabilities to use, grow, and learn.